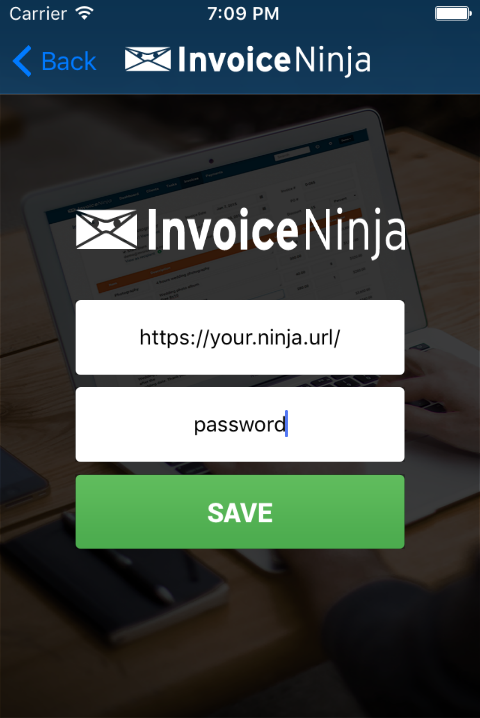 The Invoice Ninja iPhone and Android applications allows a user to connect to their self-hosted Invoice Ninja web application. Connecting your to your self-hosted invoice ninja installation requires a couple of easy steps. First, you’ll need to add an additional field to your .env file which is located in the root directory of your self-hosted Invoice Ninja installation. The additional field to add is API_SECRET, set this to your own defined alphanumeric string. Save your .env file and now open Invoice Ninja on your iPhone. Once you have completed the in-app purchase to unlock the mobile app to connect to your own server, you’ll be presented with two fields. The second field is the API_SECRET, enter in the API_SECRET you used in your .env file. You should now be able to login with your username and password! Q: I get a HTTP 500 error. Q: I get a HTTP 403 error when i attempt to login with the iPhone or Android device. A: Most likely your API_SECRET on the iPhone/Android device does not match that on your self-hosted installation. Q: Do I need to create a token on the server? A: No, this is not required. The server will automagically create a token if one does not exist on first login.